Hi guys! 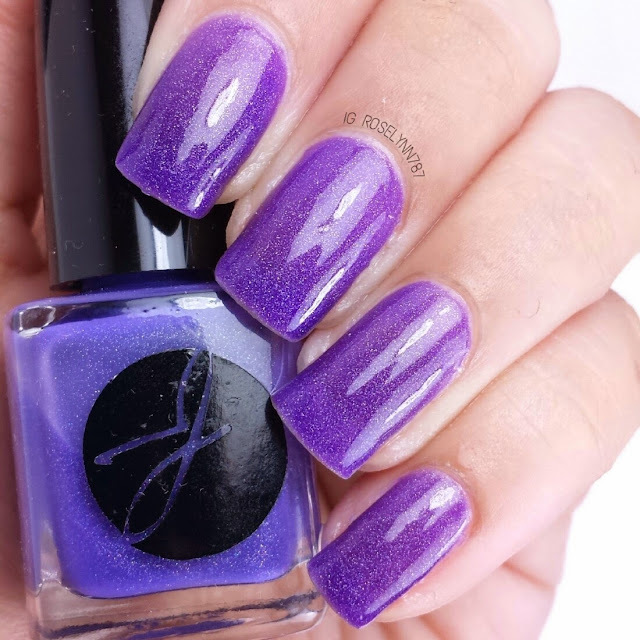 Another day and a ton more beautiful polishes to share with you guys. Sharing is caring after-all. 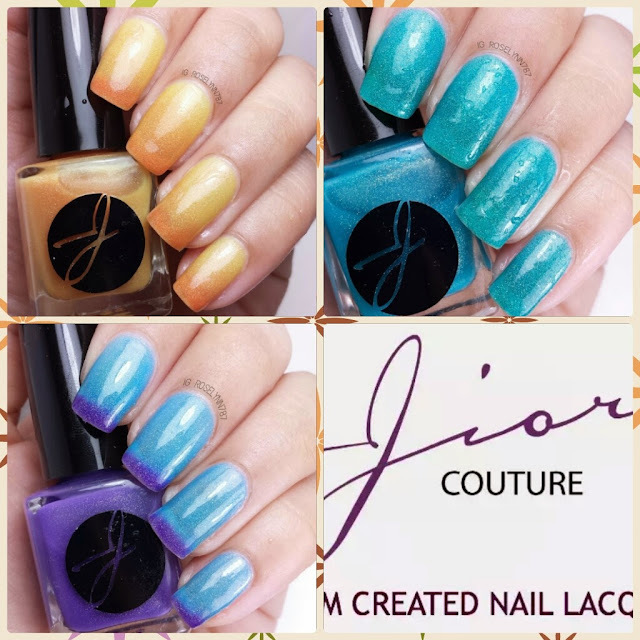 Today I have very lovely polishes to share with you guys from the always awesome Jior Couture's newest collection Star Signs based on the Zodiac signs. This review will be covering three of the collection that will be releasing today. And guys... these beauties are all holo thermals! 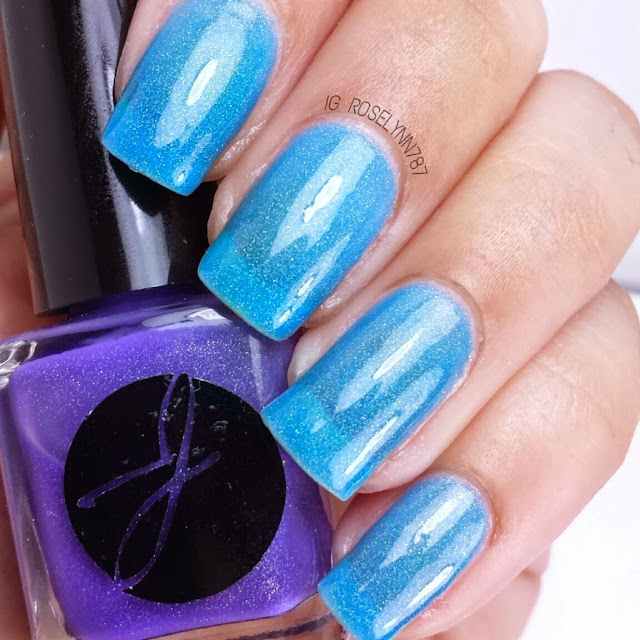 Aquarius, The Water Bearer, is a beautiful holo thermal that is blue in a warm state and turns royal purple in a cold state. 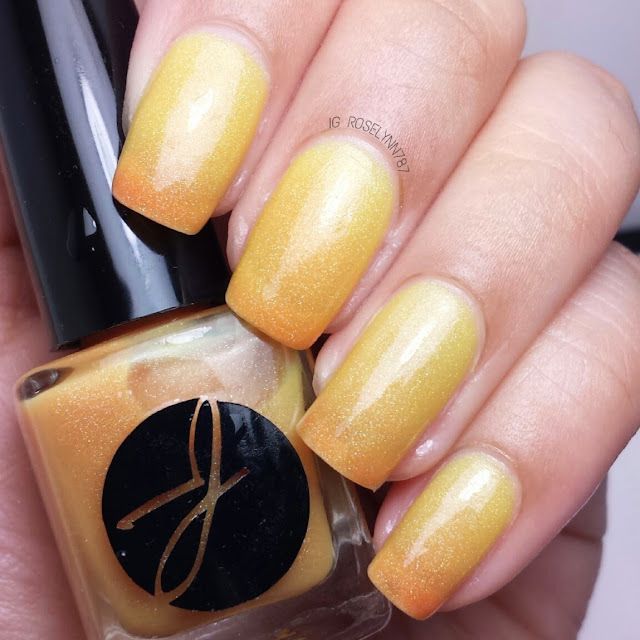 Words cannot express how much I absolutely love this polish. Vibrant colors in all the states, though I have to say I adore how it looks in transition. I'm always a sucker for a big range in color transitions. Whether in cold or warm state, these are the perfect shades for this upcoming summer months. Swatched over a clear base, used two thin coats, and sealed with Cover Me topcoat*. 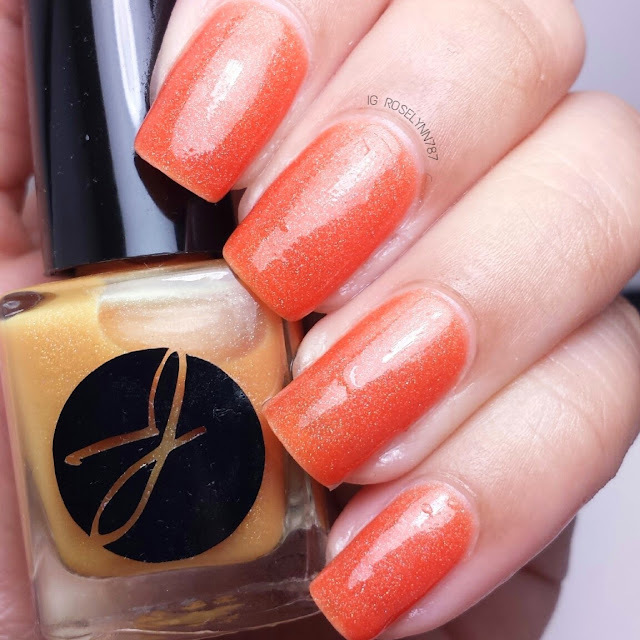 This polish is sheer in one coat so you'll need at least two coats. As you can see in the photos, it's still a little sheer when warm. Formula wise, it was absolutely excellent. Smooth, no build-up, or problems layering. 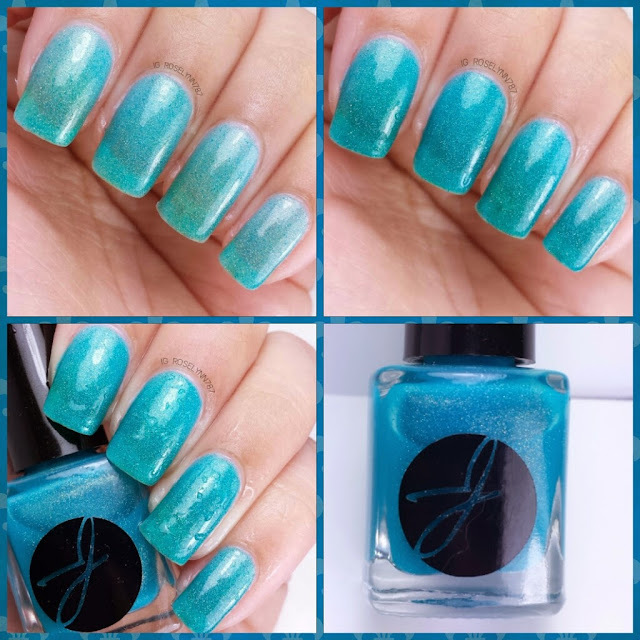 Sagittarius, The Archer, is a holo thermal that is aqua blue in a warm state and turns blue in a cold state. 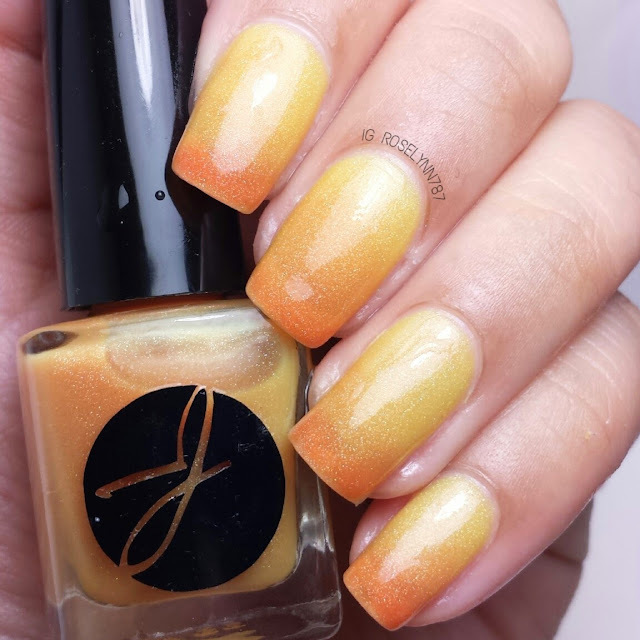 This is the perfect summer shade! I'm going to be wearing this one quite a few times. 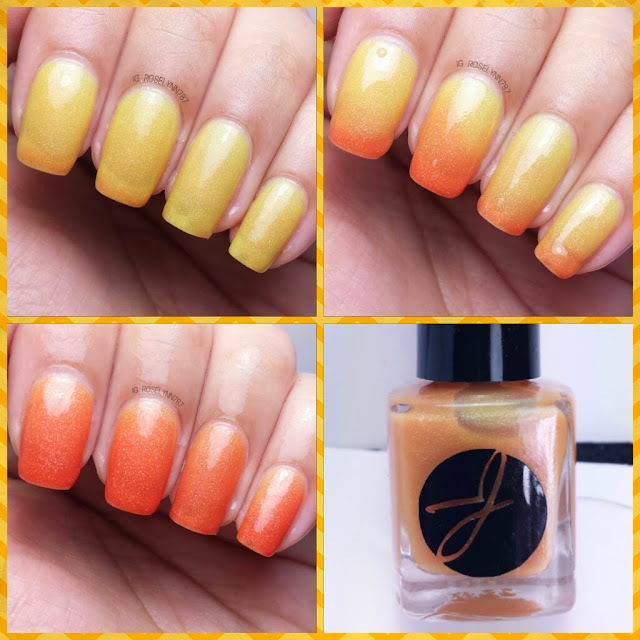 Swatched over a clear base, used three thin coats, and sealed with Cover Me Topcoat*. Out of the three I'm reviewing today, this beauty is definitely the most sheer. Because it's so sheer, the thermal change isn't as noticeable in the photos. The teal basically changes into a darker shade of teal almost blue. I wish it was little more noticeable but it's still a beautiful thermal. Formula is excellent as well. 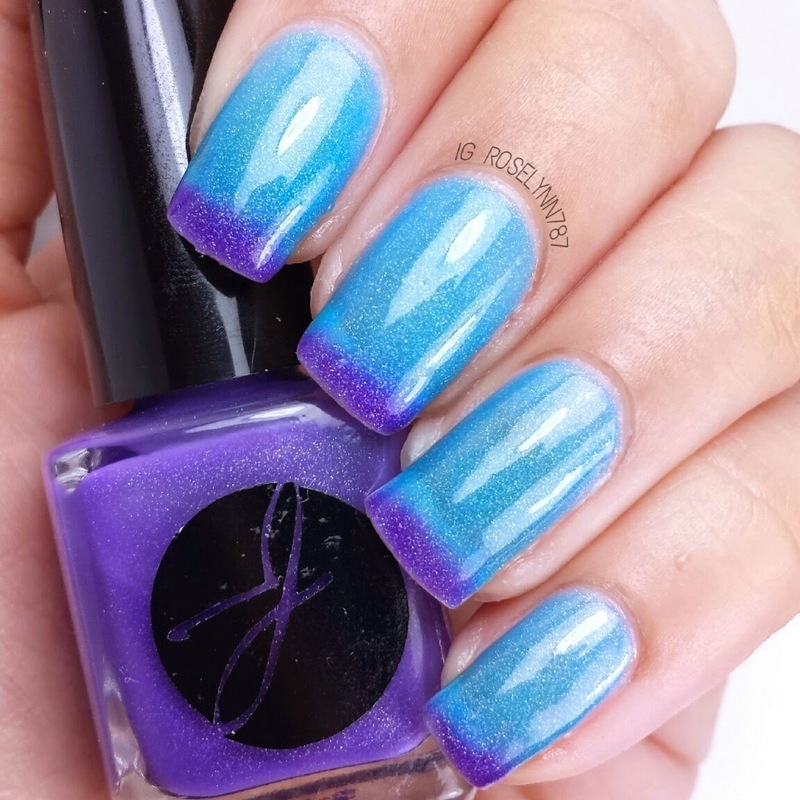 Besides being a thermal this is also to be considered a jelly polish as well. You'll have to watch your layering. I suggest letting each coat dry before applying the next and using very thin layers. Leo, The Lion, is a holo thermal that is yellow when in a warm state and orange when it's in a cold state. Love this transition so much. I may be biased because I'm a Leo girl, but this beauty is definitely my favorite in the whole collection. It goes from a soft yellow to a fierce orange, totally leo-like haha. All kidding aside, I'm a huge fan of vibrant color transitions and this one definitely does it for me. 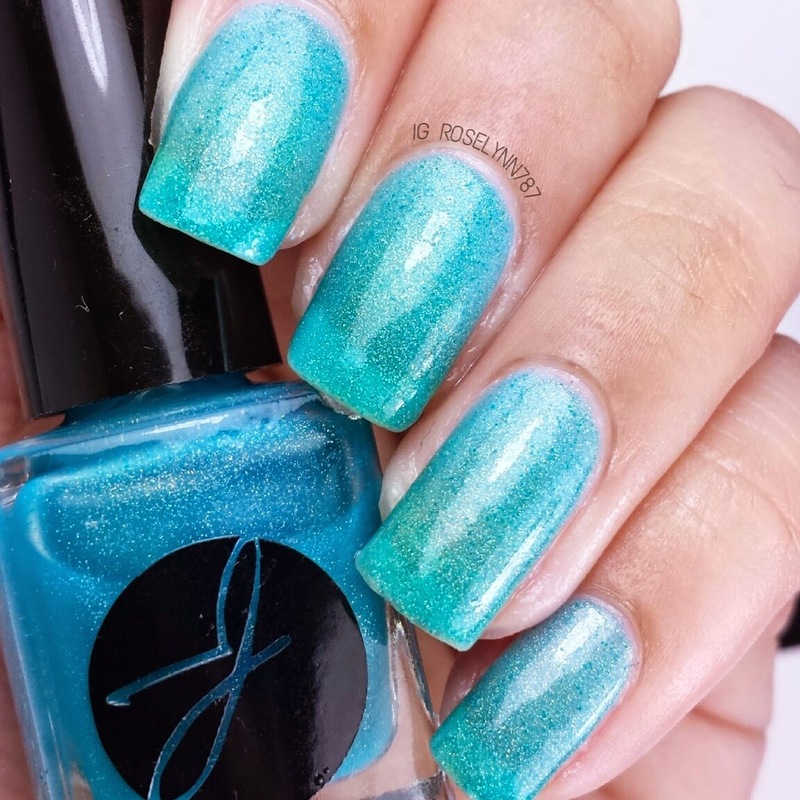 Swatched over a clear base, used three-four thin coats, and sealed with Cover Me topcoat*. The thermal change is flawless and I love the color range for the transition shifts. The formula, just like in the other two, is fantastic and can be used with ease. A+ all around for this polish. All these beauties are a cross between thermal and holo and the end result has produced some breath-taking polishes. All the formulas are excellent and I experienced no problems at all. I love thermals especially in the summer time! Definitely swing by and pick your Zodiac sign or heck pick them all up. As always, these are limited and once they are sold out they will not be restocked.